Join us for a week of Grand Opening celebrations January 10-17! The Front Street Cafe roll-out is complete and we’re inviting you to help us celebrate with an array of community events! 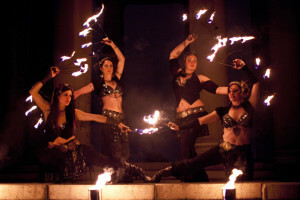 Music, entertainment, tasting menus and more! 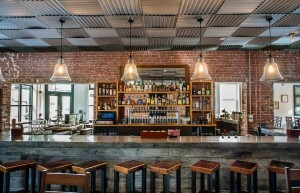 Front Street Cafe first opened its doors to the Philadelphia neighborhood of Fishtown in mid-September. Since then it has been slowly rolling out each aspect of the business in turn. Starting first by offering organic coffee and juices to early morning and evening commuters, as well as a wi-fi lounge for those looking for daytime work space, a new vitality was brought to the corner of Front and Thompson. In the next phase the restaurant was opened, built around fresh, sustainable ingredients, with ample choices for people who have dietary preferences for health or lifestyle reasons. Breakfast, lunch and dinner services were unveiled in stages with all of the ingredients down to the condiments made in-house or sourced organically and sustainably. During the grand opening week Front Street Cafe will be talking more about all of their local partners, highlighting each in turn! The cafe/restaurant also houses a full bar which opened in October serving creative cocktails made with fresh squeezed juices and local ingredients, an array of craft beers drawing from both local and west-coast breweries and a selection of organic and biodynamic wines designed to match the menu and pair well with artisanal cheese selections sourced from creameries across the U.S. 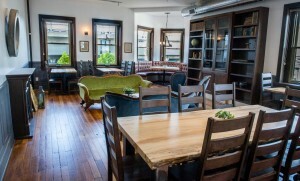 The extensive upstairs and outdoor space at Front Street Cafe has made it a natural place to host private events. The first events began in November and continued through the holiday season with in-house catering. 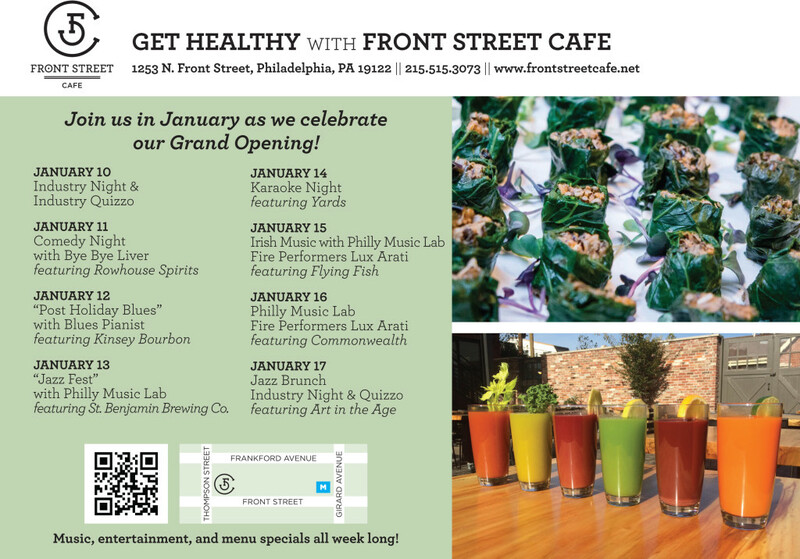 Front Street Cafe now invites you to join as they celebrate the opening of the full space to the public with an entire week of celebrations and community events! Industry Night – Now a weekly event! Two parts sketch comedy, one part drinking game. Mixed and served. *Tasting Menus will be available all week long for food. *Featured Beer samplings during Happy Hour and tastings all day.